Fiscal Review Committee – As introduced, requires committee to review contracts that result in lay offs of state employees; requires committee as part of reviewing proposed contracts to consider whether existing state employees can perform the tasks in such proposed contracts. – Amends TCA Title 3, Chapter 7. Pensions and Retirement Benefits – As introduced, modifies the Medicare supplemental insurance benefit for participating retired employees and teachers to ensure that such retirees are not required to pay the full cost of each premium increase. – Amends TCA Title 8, Chapter 27, Part 7. Insurance, Health, Accident – As introduced, on or after July 1, 2014, requires the state insurance committee to ensure that if the estimated total solvency reserve for the state health insurance plan exceeds the actuarially-required target solvency reserve for the calendar year by 75% for 2 consecutive years, then the excess amount must be used to decrease member’s out-of-pocket expenses. – Amends TCA Title 4; Title 8, Chapter 27; Title 9 and Title 56. State Employees – As introduced, prohibits layoffs in excess of 10 employees if not approved in the state budget unless the general assembly approves the layoffs. – Amends TCA Title 8, Chapter 30. March 4: After lengthy discussion and a policy proposal brought forth by the Commissioner of Human Resources to address the needs of the bill, Rep. Hill took the bill off notice. The committee agreed that if the policy is not implemented as stated, the bill will be brought back to put these needs in code. State Employees – As introduced, revises the provisions governing the Tennessee Excellence, Accountability and Management (TEAM) Act. – Amends TCA Title 8, Chapter 30, Part 3. Education, Higher – As introduced, requires UT and TBR institutions to provide free parking to employees who earn less than the average state employee salary; permits other employees to be charged for parking on a tiered scale based on salary. – Amends TCA Title 49, Chapter 7. TSEA and TBR have reached an agreement to launch a pilot program this Fall at the University of Memphis to test out this bill. TBR, TSEA, and the bill’s sponsors have agreed to bring the bill back before the General Assembly next year to report on the pilot program’s results and explore expansion of the project to other TBR schools. 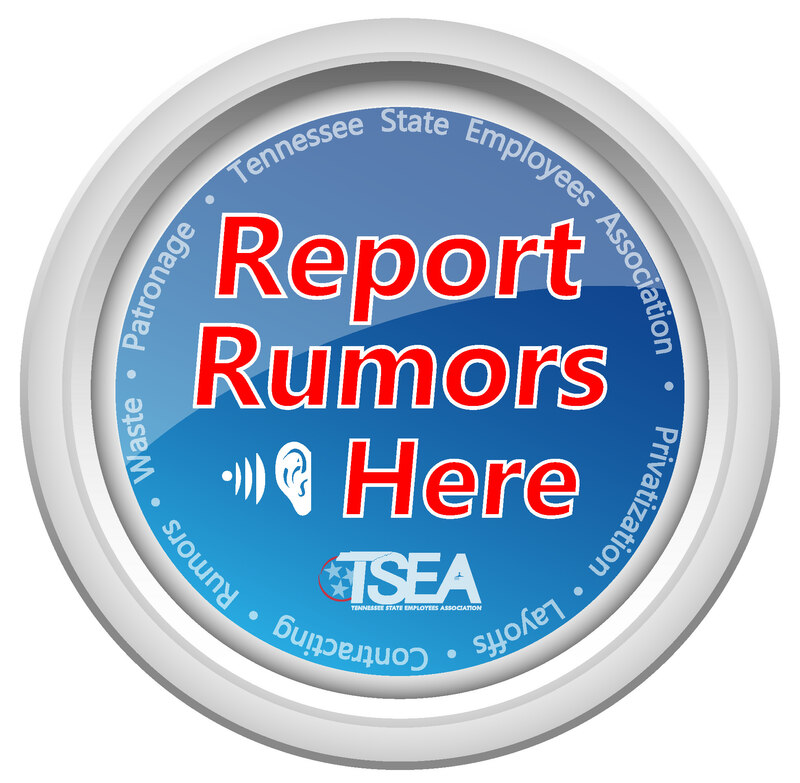 State Employees – As introduced, makes certain revisions to the T.E.A.M. Act; expands board of appeals to no more than 18 members rather than nine; clarifies burden of proof and standard of review during the appeals process; establishes when an order or settlement agreement becomes final. – Amends TCA Section 8-30-108 and Section 8-30-318. State Employees – As introduced, credits a state employee with ten (10) or more years of state service with the equivalent of a GED® for the purposes of retention of state employment, promotion as a state employee, or return to state service. – Amends TCA Title 8. Public Contracts – As introduced, requires agencies of the state to identify, evaluate, avoid, and mitigate actual or potential organizational conflicts of interest before awarding or amending any contract for goods and services. – Amends TCA Title 4; Title 9 and Title 12. March 11: Failed in State & Local Committee 2-4-2. Labor – As introduced, requires certain political activities by labor organizations be funded separately through voluntary donations of members and not through regularly collected dues. – Amends TCA Title 50, Chapter 1. Criminal Offenses – As introduced, prohibits certain union and employee organization activities; revises certain criminal provisions to include certain disruptive and illegal conduct involving unions and employee organizations. – Amends TCA Title 39, Chapter 14; Title 39, Chapter 16 and Title 39, Chapter 17. Criminal Offenses – As introduced, adds new criminal offenses involving mass picketing and targeted residential picketing. – Amends TCA Title 39, Chapter 17, Part 3. Employees, Employers – As introduced, revises various provisions concerning employment litigation in Tennessee. – Amends TCA Title 4, Chapter 21; Title 8, Chapter 50 and Title 50, Chapter 1. Public Employees – As introduced, entitles estate of any correctional officer employed by the state or a political subdivision of the state who is killed in the line of duty to receive $25,000. – Amends TCA Title 7, Chapter 51, Part 2 and Title 41.